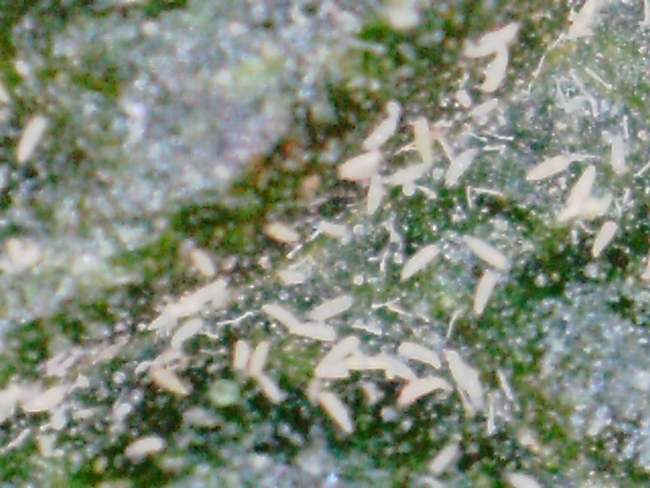 Russet mites are most frequently found in outdoor container plantings. This suggests that they're introduced both in potting soils and plants brought into the garden. Use only dependable, high-quality potting medium and plants from a nursery you trust. 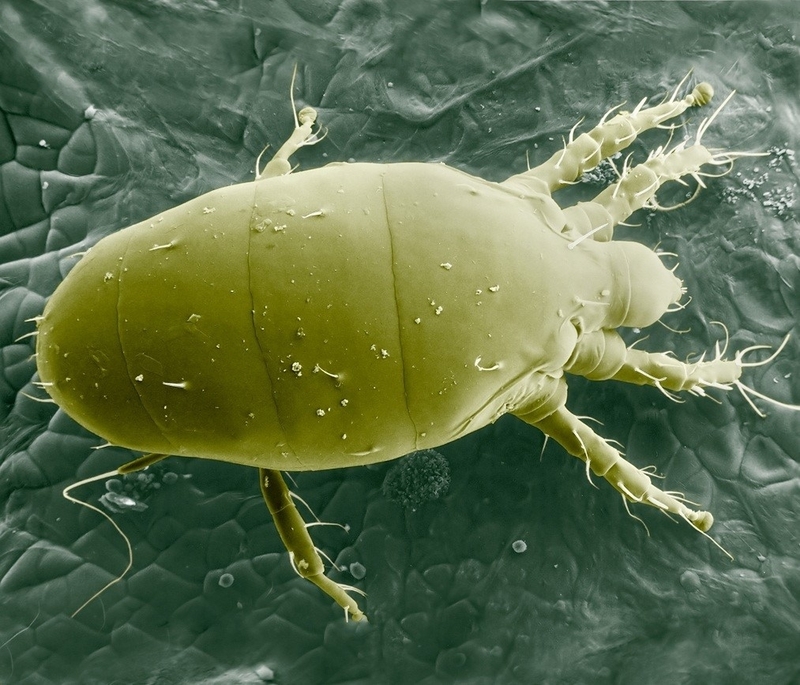 Don't be afraid to ask if mites have been a problem. Even if they've been dealt with and the plant shows no signs of damage, eggs may still exist in the soil. 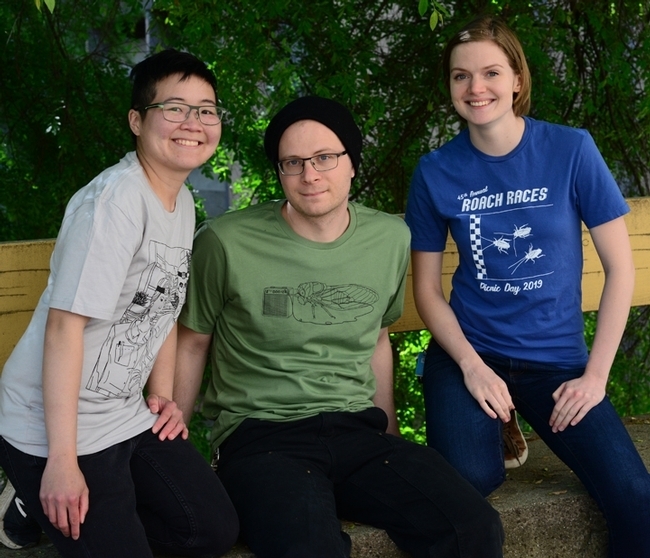 Introducing beneficial nematodes just as soil temperatures begin to warm and ahead of planting can help destroy eggs that are in the soil and nymphs once they hatch. 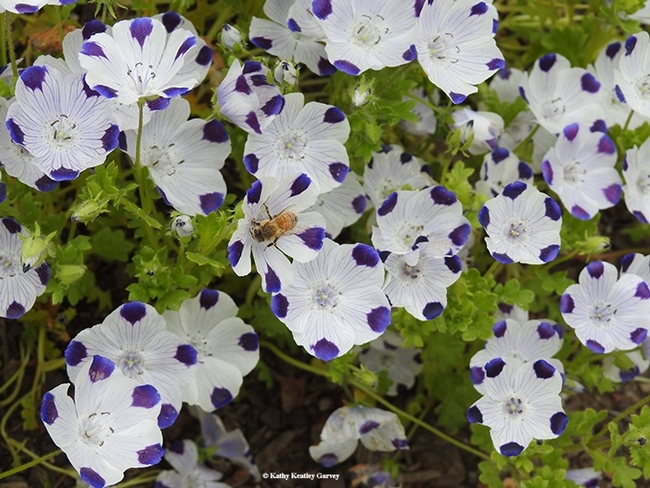 Apply a second round of vermiculite-carried nematodes if damage to lowest leaves is spotted. Avoid over-fertilizing plants. Mites are attracted to vigorous green growth that comes of too much nitrogen. Neem oil will repel and kill mites. It should be applied at first signs of damage. Pyrethrum sprays have proven effective in killing mites but require complete coverage to ensure that none of the microscopic pests are overlooked. 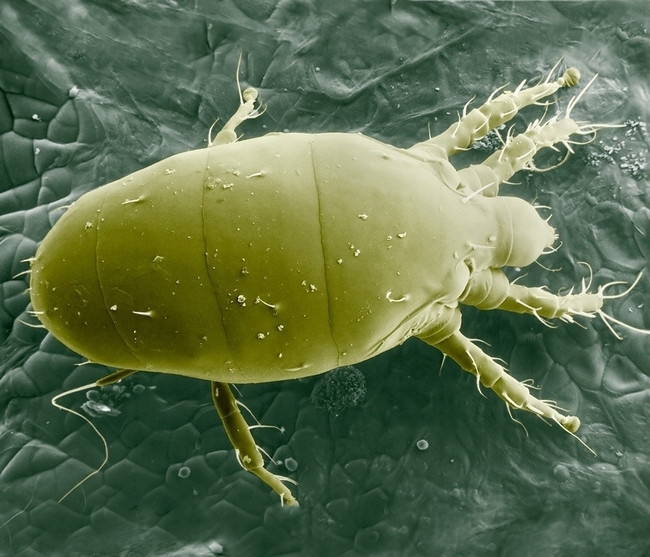 Tailor applications to the lifecycle of the mite. 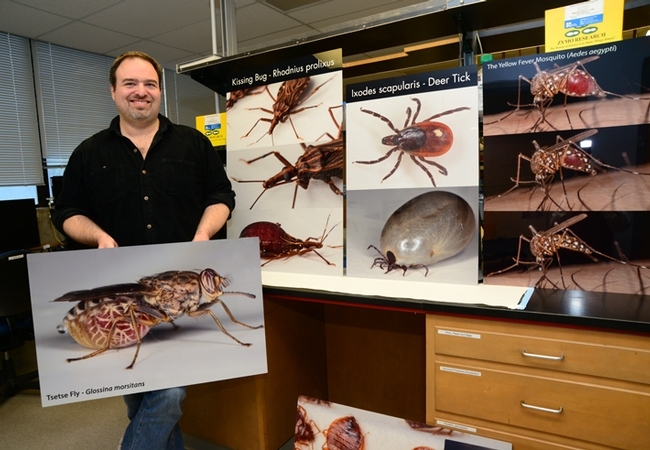 Spraying once a week — once every five days in warm conditions — for three to four weeks should cover adults, emerging nymphs, and eggs. No matter which method you're using, close inspection of plants during treatment is crucial. Use a lens of 14X magnification or larger to see mites gathered at the center of curled leaves, at stem junctures, or in flowers. Don't wait to see how effective one treatment is before continuing or using another. Once infestations spread up plants, it's almost impossible to save the plant. Don't hesitate to discard entire plants, even if they're not entirely affected. 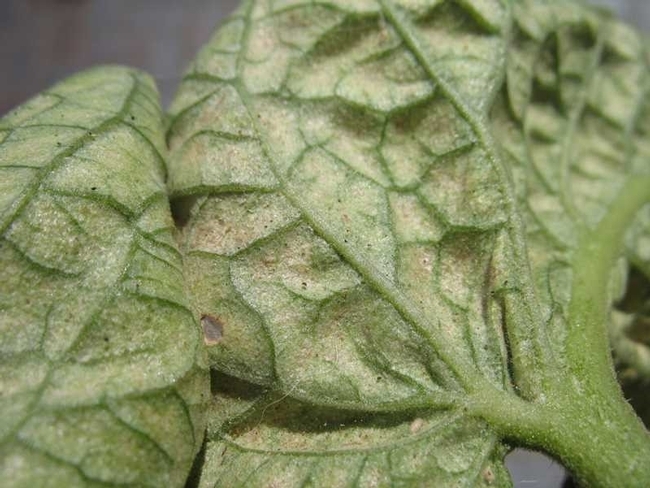 While you're treating affected plants, the mites are hurriedly spreading to others. Prevent spreading mites. Discard infested plants in plastic bags and dispose of them in sealed garbage containers. This time of year the show-stopper in our Suisun City front yard is the spring-flowering perennial shrub Forsythia: bold, fragrance-free yellow blossoms crowd its branches before any leaves appear. Flowering branches can be cut and forced. One sees this spectacular plant in local gardens so rarely that passers-by sometimes stop to ask what it is. I remembered it fondly as the first bright roadside accent against the shady evergreen backdrop of North Carolina yards and ordered some from our local nursery. Genus Forsythia is part of Oleaceae, the olive family. 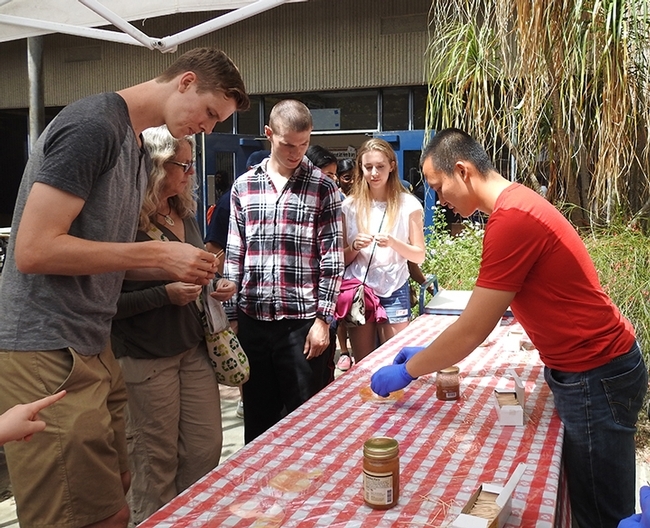 One species is native to southwest Europe; the rest come from East Asia, where some are critically endangered because the plants are harvested for medicine. In our part of the world, many species and varieties--varying notably in height--are available to gardeners. 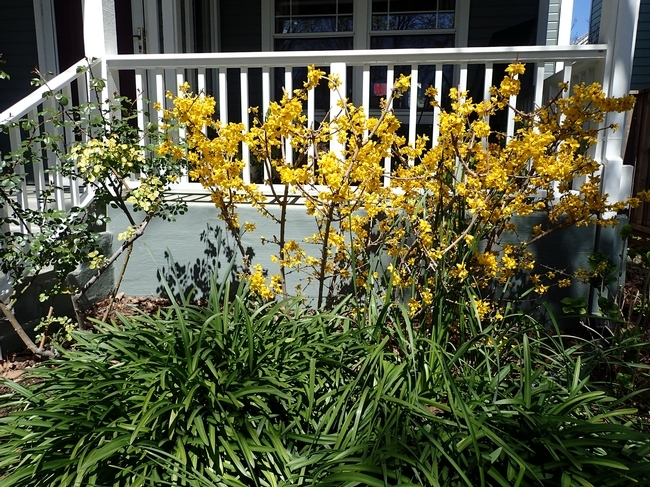 Looking for something to plant in front of our raised front porch for early spring color, and later as a leafy green backdrop for smaller flowering plants, I bought two Monrovia Magical® Gold Forsythia, Forsythia x intermedia ‘Kolgold.' The label says “moderate grower to 5 ft. tall, 4 ft. wide.” Sunny exposure--check, well-drained soil—check, medium watering—check, fertilize before new growth begins in spring—check. Those plants grew well all right! Bigger than advertised. Forsythia's fountain of long, leafy, branched stems occupied far more space than I expected. They blocked the view from the front porch and arched into flowering space needed by neighboring Lily-of-the-Nile (Agapanthus sp.). All of a sudden pruning, which should be done immediately after bloom, became a necessity. University of Maine Cooperative Extension produced an excellent video about pruning Forsythia so as to preserve its graceful, arching shape. “How to Prune a Forsythia” is available on YouTube: https://www.google.com/search?ei=hPWnXMSoHoL8tAW-5JP4Cw&q=How+to+prune+Forsythia&oq=How+to+prune+Forsythia&gs_l=psy-ab.3..0j0i7i30l2j0l4j0i7i30j0l2.116708.117421..118343...0.0..0.123.556.0j5......0....1..gws-wiz.......0i71j0i7i5i30.wTtKi92ekgk#kpvalbx=1. I can only imagine the cascade of golden blossoms that would result. Because I have no other sunny spot for my plants, I pruned them into a hedgerow instead--“put them in a box,” as my cousin scornfully remarks. The Monrovia label is more forgiving: “For a formal appearance, shear annually after flowering.” I regret the loss of my Forsythia's natural form, but the hedgerow shape looks nice too.